Alright, so I didn’t get to finish this series by the end of the last season. Considering how close I am to being done, this year will be the year. That also means I’ll have to revise some drafts, because players I picked back then are not necessarily on these teams. We recently finished up a series with the Yankees that didn’t go so well for the Cubbies. This season hasn’t really gone well for us so far. It’s interesting to see the Yankees as a younger team again. Still, this choice is tough. There’s a lot of potential money that would be spent if I were to do this for real. I can’t do the big boys – Ruth, Mantle, DiMaggio. Hell even Jeter is way too much. I could go contrarian with Kevin Maas or Joba Chamberlain or Raul Ibanez, but that doesn’t sound too fun. 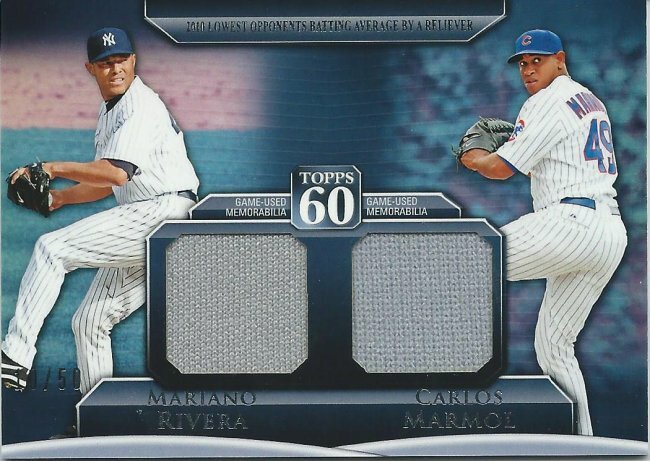 Remember this card from my “most expensive Marmol” post? The nod goes to Mariano Rivera. Again, it’d be a lot of money, but that’s the deal if I were to compete against the swarm of New York collectors. I think he might be more manageable than others in the cost department and there’d be fewer cards due to his role. I understand that it’s fun to hate on Yankees players in general, but Mo gets a pass from most. He’s done a lot off the field for people and he happens to be one of the best closers, if not the best, to ever play the game. This was going to be Carlos Beltran. Instead, I’m kind of cheating here. I have a good head start on the Castro collection (and I have a lot to trade to people if anyone is at all interested. Please! ), so it wouldn’t be too hard to pick it back up. 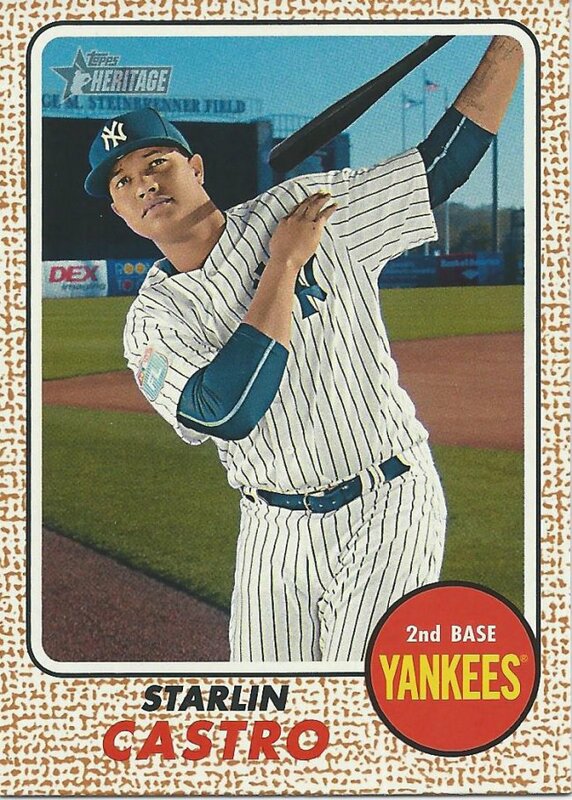 It’s very strange to see him in these pinstripes, but I’m very happy he’s having a great year so far. Watch the die cut, don’t want to get a Boo Boo. Right Yogi? When thinking about the incredibly deep history of the Yankees, there were a lot of directions I could go. 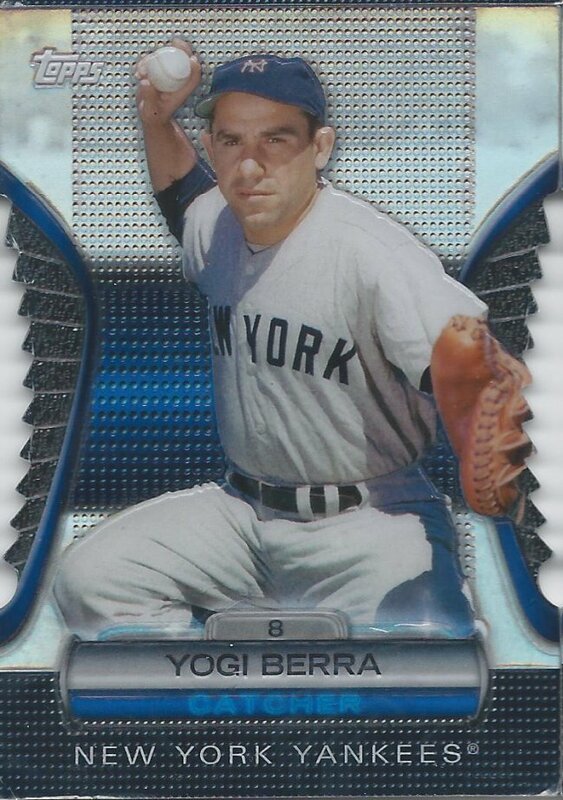 I decided that personality was the main driver and went with quip master Yogi Berra. You could easily make a case for dozens of guys, especially when we’re talking about fake collecting and hypothetical money, but this made the most sense for me.